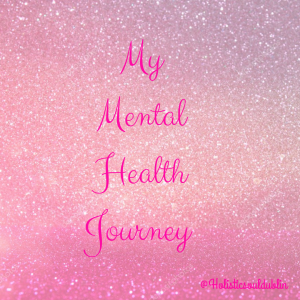 My Journey with my mental health started unknowns to me after I had Daniel (my now 2 year old). At this stage I was just getting on with the everyday busyness of having a newborn and I didn’t actually feel low , well I didn’t have time. So for the next couple of months I got on with it and kept everything locked up inside and didn’t express any emotion at all. I was so protective of Daniel and to me that was just normal but I would get so moody if anyone even suggested something got to do with how I brought him up including my boyfriend John. Only looking back now do I know how bad I was. I would make Daniel’s dinners every Sunday to be frozen for the week ahead and if my mam or Daniel’s other nanny Sharon wanted to make something different I would have absolutely went mad because to me I was just so wrapped up in doing everything on my own for my baby and everything had to be perfect. One of the things I really feel bad about is the fact that Daniel’s dad didn’t live with us as I was still in my mam’s but I just couldn’t let Daniel stay with him over night until he was 11 months old. That might not seem too bad but that was actually the first ever time John got to sleep with Daniel as there was no room in my parents’ house so he never stayed over with us either! At the time I didn’t take into account how John felt as I was so caught up in over protection mode without realising. So three months after that I was due to move out of my parent’s home and in with my boyfriend John and all I thought about was how will I cope when he is in work and I have Daniel alone, how will I get stuff done, how will I manage a house and be a girlfriend and cope with work( I had just had the privilege of been asked to be reception manager in River Holistic). All these thoughts manifested so much so I had a mini break down in my doctor’s crying my eyes out just feeling like a failure and no being good enough. The thing that I think really hit me most was I couldn’t have had a better life at this point everything was going so well and yet I felt so bad. This just proves that mental health and depression can affect anyone and it is so so true when people say never judge a book by it’s cover! 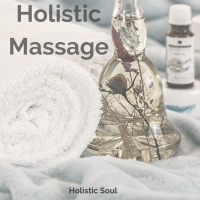 So my doctor wanted me to go on medication but I refused because and I admit there is still a stigma about anti-depressants and I just felt at the time it would mean I was weak if I did, especially being a holistic therapist promoting health and wellbeing it didn’t seem right. So I agreed to go to counselling which funny enough alot of them never got back to me so lucky I was a persistent enough person or I can see how some people give up trying for help because it wasn’t that easily available to be honest. *side note* for anyone reading this the Psychotherapists and counsellors in River Holistic are very helpful but I off course didn’t even try to talk to them because 1) I work with them and 2) I was going through this alone I never mentioned a word to anyone including my family. 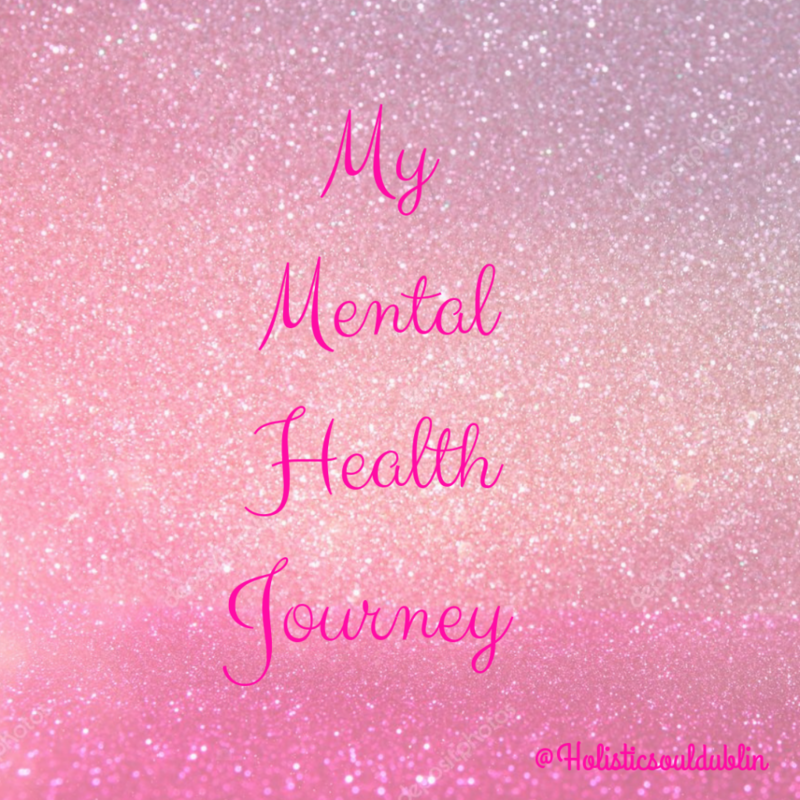 So in November I started counselling and what a relief it was to get everything off my chest! I told my therapist stuff I had never told anybody before about how I was feeling and it did bring up a lot but I found it helped. Unfortunately not enough because come January I still felt so low it was starting to even affect work. I felt so bad that I was trying to help people who were stressed but I was secretly needing help myself. I felt like I wasn’t good enough to be a manager and I would cry at the slightest criticism which made me look like some sort of diva in my eyes and only for I had an amazing Manager Claire who could see how I was feeling I probably would have just giving up work altogether. The Day i decided to change and try to help myself get out of this what I can only describe as torture was when Claire pulled me aside to see if I was okay and if I needed a break from work as she could see I was struggling. The thing Is I was good at putting on a brave face and just smiling through it all until I got home alone but she could see right through me. So after breaking down and explaining how I felt I didn’t want time off as work kept me sane especially the environment that River Holistic is it is so calm and just a breathe of fresh air. That same day I went to my doctor to ask if I could go on anti-depressants as I was affected in every area of my life and I couldn’t see a way out. February I started to take them and nobody knows only John but I feel like it is time to break the stigma. 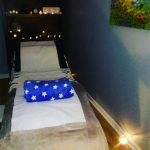 I’m sure from the outside I look like a normal girl lucky enough to have an amazing job as a massage therapist and receptionist, renting a house with my amazing family John and Danny and I am generally healthy except one hidden thing my mental health is not great! You can’t see somebody’s mental health straight away. I look happy most days and yes I am now I haven’t been this happy in a while but my point is you truly never know what somebody is going through so don’t judge somebody by how they look. I am doing so good as long as I am taking my medication and in turn I have started to make more time for me as I feel like I deserve it. Previous Previous post: What is a Kansa Wand?